The Hallmark Movies & Mysteries holiday movie Christmas at Grand Valley will debut on December 22 at 9 PM. 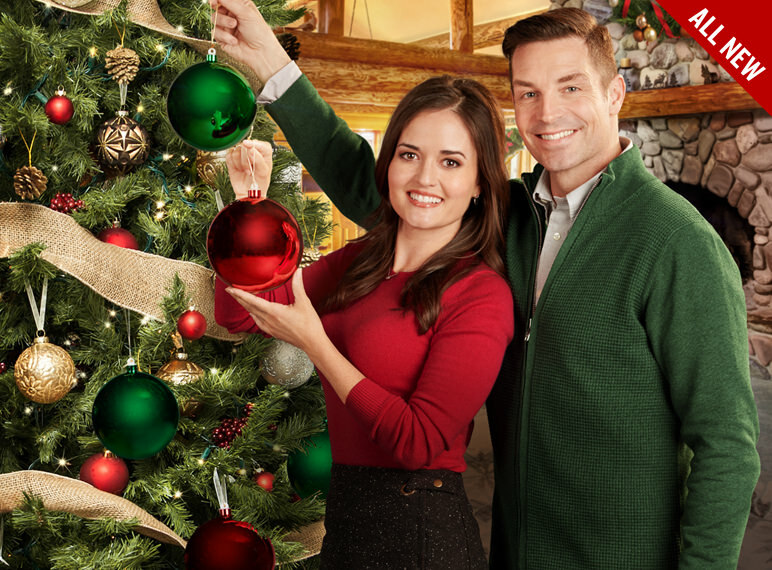 Burned out from the hubbub of the Chicago gallery world, artist Kelly (Danica McKellar) returns home to the picturesque Grand Valley just in time for Christmas. Maybe her favorite town’s shining season will reinvigorate her love of art and guide her down her next path. Leo (Brennan Elliott), businessman and all-star dad to his children, struggles to balance his time this holiday season. When he is assigned to review a hotel in Grand Valley for its value, he sees this as the perfect opportunity for a Christmas family vacation. It isn’t long until Kelly and Leo’s worlds collide. As Kelly re-experiences her favorite Grand Valley traditions with Leo and his children, she begins to find her way back to her passion for art. Here is the trailer for Christmas at Grand Valley.